with free popcorn and drinks. 24-12-09 On Christmas Eve, our church members went to Prince Hotel for Christmas caroling which starts at 8.00pm. Before singing, we ate some food prepared by the hotel. We sang at the lobby of Prince Hotel.... I felt so glad to sing about the glory of God. 22/12/09 Winter Solstice (Dongzhi 冬至）is a traditional festival of the Chinese people. My grandma told me "Glutinous Rice Balls(tong yun) " is the Winter Solstice special food, is a circle made with glutinous rice flour desserts. That is a meaning of reunion and fulfillment. On this day, we eat glutinous rice balls as a symbol of family harmony. My grandma filled some peanut into the balls, it was very tasty. 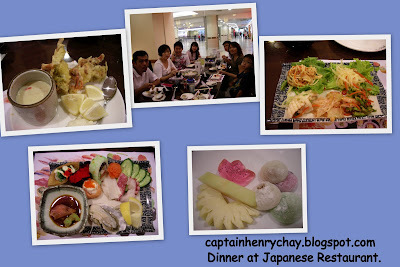 On Aunt Lisa's birthday, we went to a Japanese reataurant at 1 Utama. We having a dinner buffet. There were a lot of my favourite sushi, tempura, tepanyaki, steamed egg ( I forgot its name =.=''), salad (but it was Thai Style's Salad). For dessert, I prefered some jelly and mochi, the food were very tasty. 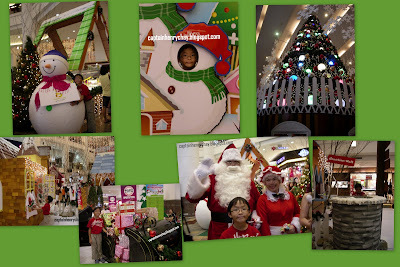 We went shopping at Berjaya Time Square, the whole shopping center was full of Christmas mood, of course we also prepared our camera to capture some photos. 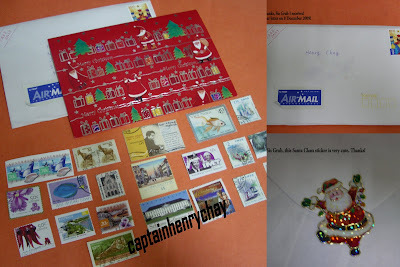 At the same time, we also chose some gifts which ar for our cell's Chritsmas party this Saturday. Cloudy with a chance of Meat Balls - About an inventor who invented a food machine that changes water molecules to food molecules. On the other side, the inventor liked a weather girl but when things get from bad to worse the food gets bigger because the food molecules gets more and more extraordinary. Disasters start to happen also because of natural disasters happening up there and makes the food come to life. Will the inventor ever see his girlfriend? 10-12-2009 Yesterday I went to Aunt Jenny's restaurant, I have an animation class from Ervin (my classmate). He is my IT teacher ^^, He taught me the 1st step of animation. This is my first creation, I decided to put the Malaysia Flag on my character. Of course I said thank you to Ervin, he is very generous and kind, without his sharing I think it is not easy to learn the making of animation, hope I can learn more animation in the future. This morning, I saw an article from the newspaper. 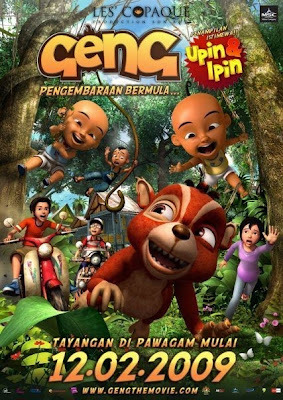 The creators of the famous Upin Dan Ipin seriesnow have their own studio called Animonsta Studio, their first titular character, Boboiboy. I really feel great that Malaysia have our own cartoons. At the same time, I also found an article "Animation workshop for students", there will be an open animation competition for students age 10-14 years old which is organising by Disney. 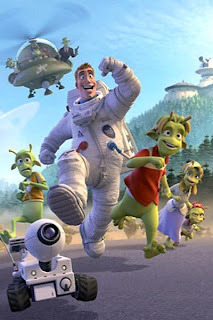 This competition will start next year.They will chose a team of 2-3 students from 10 chosen schools.This competition is for creating a 2 minute clip based on their own "alien encounter" inspired by Stitch. This is my first try drawing Stitch with a pencil. (29/11/09), I went to the elephant park.It was full of elephants. We didn't manage to ride the elephant because we arrived late at that time. They only allow the first 120th tourists to have a privilege to sit on it. This baby elephant has finally accepted my food. At first, it was a bit stubborn then it calmed down and used its trunk and took the grass. This baby elephant looks like "Jumbo". After visiting the elephant park, we went to Bentong Waterfall. The water currant was very strong so we played at the shallow waters. I had a good time with my cousins there.